Entire Guide available to download. Appendix of resources available here. the registration form found on the National eXtension website. You may also view a video that describes the survey. 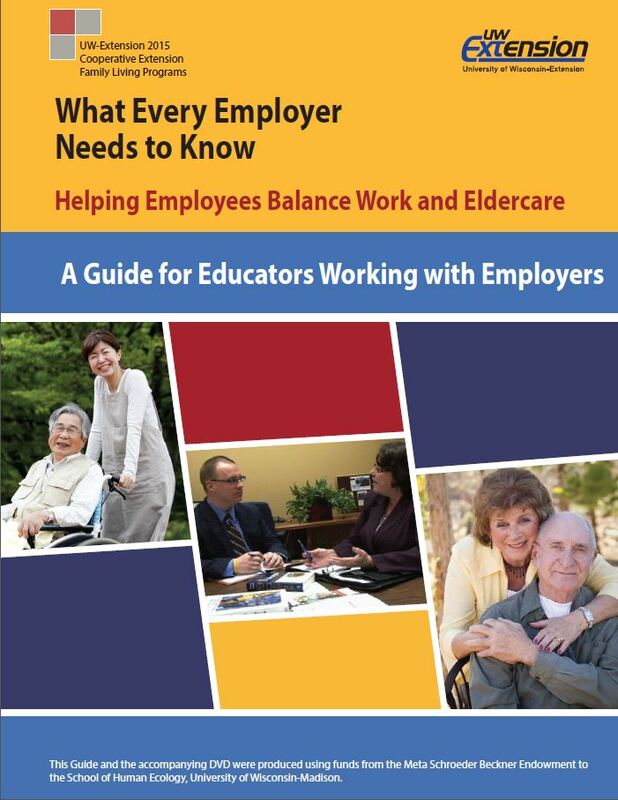 These short videos will help employers create work environments that are supportive of families and households simultaneously engaged in work and elder care. Access all nine videos here along with on-line resources by topic area. Funding for the development of this website was provided by a grant from the Meta Schroeder Beckner Endowment in the School of Human Ecology, University of Wisconsin-Madison. The Beckner Endowment also funded the development of the videos on issues related to work and eldercare. More resources may be found in this appendix:.